After getting home from Philadelphia, my travel didn’t stop there. I spent a few days at home before hitting the road to drive 3 hours down to Columbus. That weekend happened to be the weekend of the XPC Semi Finals. Since I had moved back from Las Vegas, I started getting more and more interested in powerlifting. I started lifting at a gym in Boardman called PSD with a goal to be a little woman who was freakishly strong. 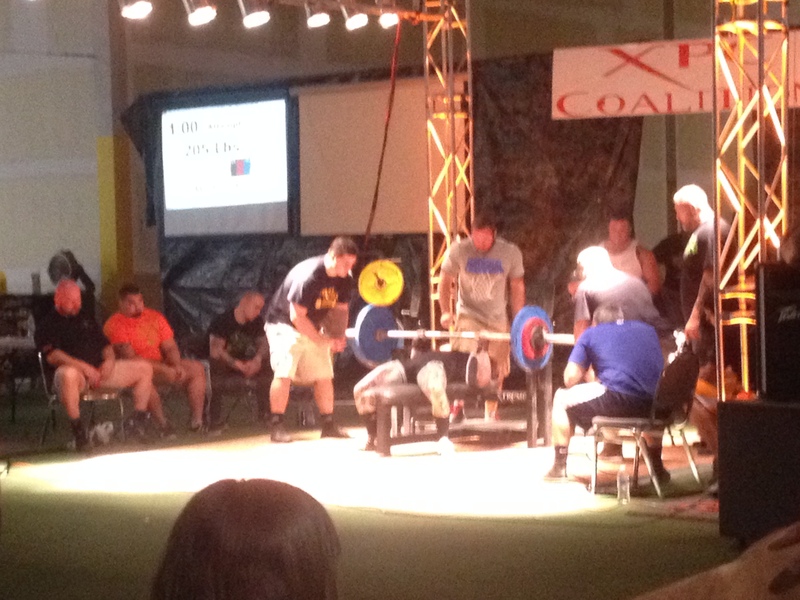 The PSD Powerlifting Team was competing at the XPC Semi Finals so I thought I would check it out and see what the competition was all about. To my delight Caitlyn Trout and Stephanie Tomlinson were competing. 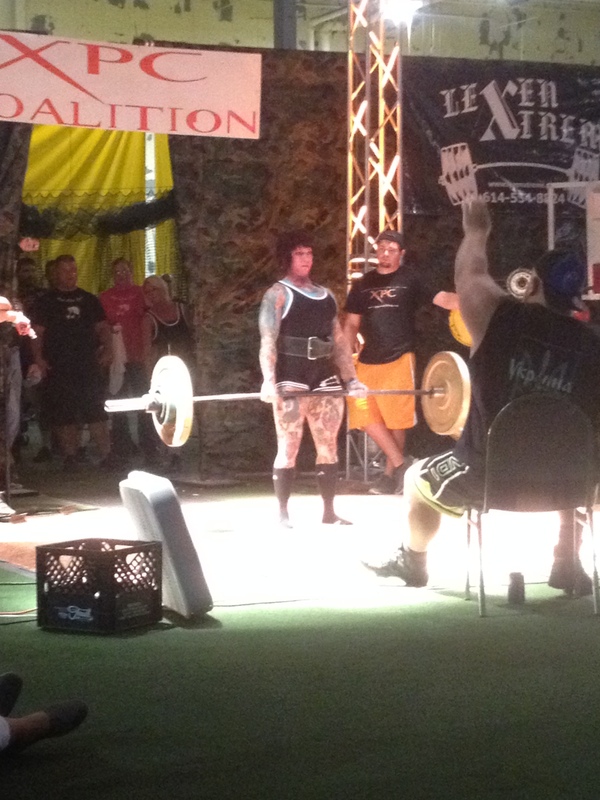 For those of you who don’t know, Caitlyn Trout is a 123 lb powerlifting rock star holding 2 world records. Stephanie Tomlinson is a 132 lb beast of a power lifter that came from a bodybuilding background. 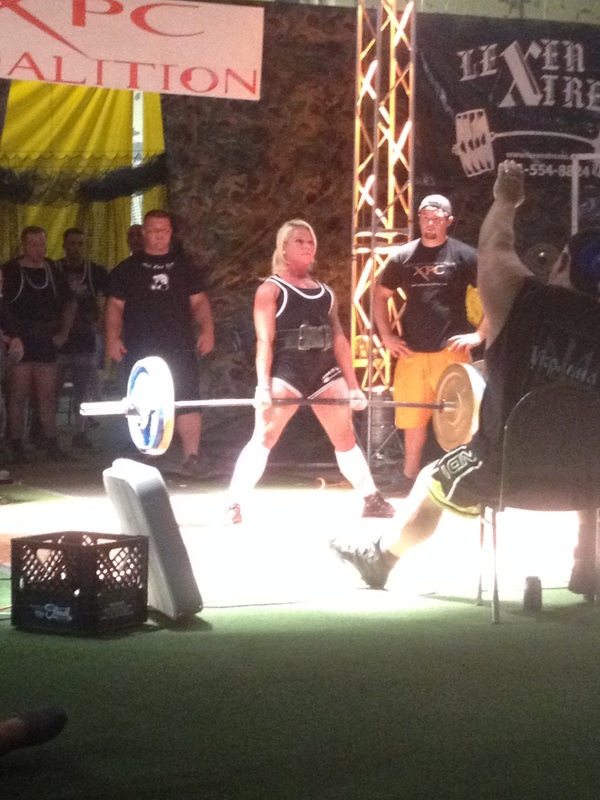 There were amazing lifters there putting up big numbers, but I was most focused on watching the ladies lift. At that time I had just started lifting so my numbers were lame to put it nicely. 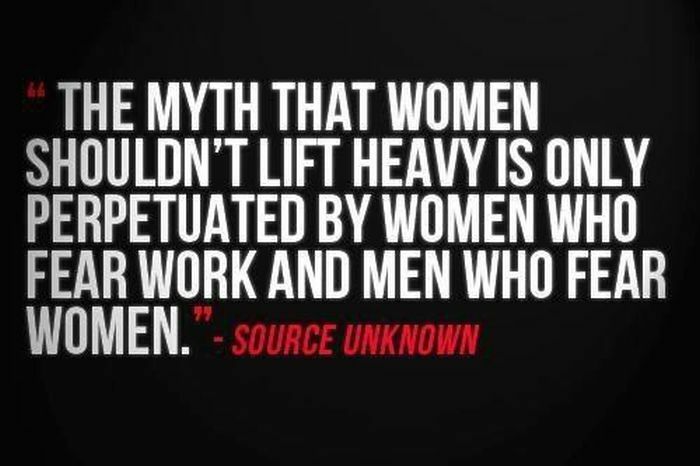 To watch women, not much heavier than me, lifting exorbitant amounts of weight and breaking records was really inspiring. After their lifts were over I went into the back to talk to them and pick their brains and I was happy to learn that they are two of the coolest chicks ever! Each of these ladies had different journeys that lead them to where they currently are. For Caitlyn, powerlifting entered her life because her boyfriend was doing it. He started training her and she progressed really well. She started off weighing 110 lbs and deadlifting onlyabout 128 lbs. Now she holds two world records, squatting 370 lbs and having a combined total of 920 lbs, which is incredible. Hearing this was such a great confidence booster because that’s exactly where I was starting out. For Caitlyn some of the biggest challenges is getting over a sticking point or getting over an injury. It messes with yourhead and you have to just have the courage to overcome it. She is never satisfied and always wants to get better. There seems to be a lot of internal motivators for power lifters. It’s not extremely lucrative even at a professional level. They pay to compete, so the motivation really comes from the love of the sport and the determination to better oneself. One of Caitlyn’s favorite quotes is “Conquer Self, Conquer All.” Basically, if you can beat yourself you can beat anyone. I love this quote because all too often I think people are their own worst enemy and they are defeated by themselves. They get caught up in negativity and fail before they even start. They think they can’t so they either don’t try or fail. I think the best way to combat that is to take little steps of trying things outside of our comfort zone to build confidence. With this momentum of confidence we are more likely to dare to try bigger things. Stephanie’s journey is quite different from Caitlyn’s. Stephanie got into powerlifting herself. She had gone through a roller coaster of being overweight to being anorexic to becoming a bodybuilding. She likes to be a monster and add more muscle without gaining weight. She wants to gain strength and tap into the strength she already has. What a lot of people don’t understand is that powerlifting isn’t just picking up heavy things, form is imperative. With her bodybuilding background Stephanie started with higher lifting numbers, but according to her, her form was completely wrong so she came in at a disadvantage and had to learneverything again. A big challenge that Stephanie deals with, that I think a lot of women in male dominated sports deal with, is sexism. Being a woman in a mostly male sport, she is faced with comments like, “You look gross”, “You’re too big”, “You look like a guy”, and “Girls shouldn’t lift like that”. It’s a lot of the same sexism that a lot of female fighters face, but in a slightly different form. The most important part is to not let other people get to you, never give up, trust yourself and your body. There are times that you are going to fail at things, but you just have to get back up. She has younger and lighter girls come up to her and say, “I always wanted to do what you do, but I was always afraid.” To those girls she says, “Don’t let anyone else decide who you are. The people who say that I can’t or I shouldn’t…watch me.” I was surprised to learn that Stephanie has no ACL so she cannot pull a sumo deadlift. She will always be a conventional dead lifter, but as Stephanie says, “you’ll always find a way.” Currently Stephanie is squatting 340 lbs, benching 210 lbs and deadlifting 370 lbs for a total of 920 lbs. Her goal is to hit a thousand pound total when she competes on October 25th! She’s going to smash it! There aren’t enough women in the sport or that stick with it. I hope that showcasing these two ladies inspires everyone, both male and female, to try new things and to do the things they are passionate about. Don’t be afraid to be different or stand out from the crowd. Be courageous enough to live the life that you want to live and not the life that others expect you to live. I really like this site, I will visit it more. you are to be strong and courageous, ten you will succeed.